Want to send a congratulation letter to all of your loyal customers born in June? Want to make a special offer to every customer who has purchased from you since April? 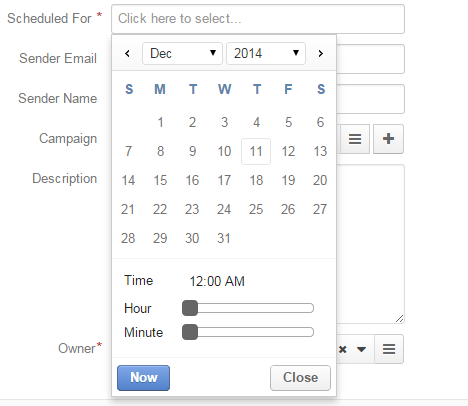 This article describes how to set up an Email Campaign in OroCRM and manage it. Go to the Email Campaigns page. 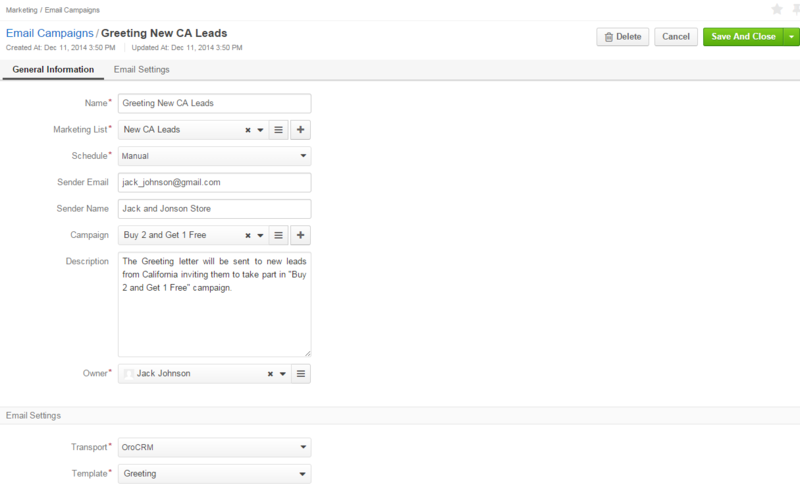 Click the Create Email Campaign button. The “Create Email Campaign” form will appear. Optional fields can be used to define such details as the way to represent the sender’s email address and name in the emails. If you want to include one or several email campaign(s) to an OroCRM Marketing Campaign, choose the Marketing Campaign name in the drop-down of the optional field “Campaign”. Any amount of email campaigns can be assigned to one marketing campaign. Transport The field defines the service to be used for the mailing. Out of the box, the only option is OroCRM. Other services can be added in the course of customization. Save the campaign in the system with the button in the top right corner of the page. In order to start and email campaign, go to the View page of the Email Campaign record, and click the Send in the top left corner of the page. Now all the contact on the list will get their emails in full compliance with your business needs.